Healthy living is all about enjoying everything in moderation. This festive season we don’t want to deprive ourselves during our celebrations - we want to enjoy all our end of year celebrations has to offer. However, the temptation to over-indulge in food and drink is all the more present this time of year! 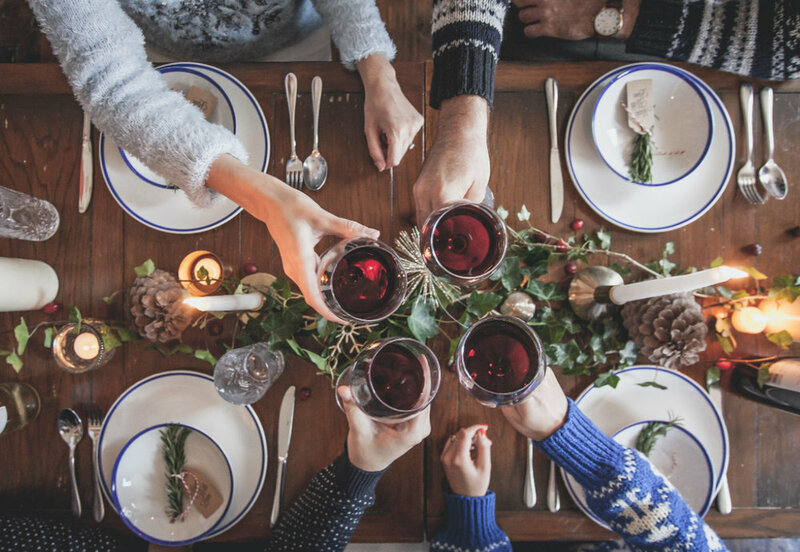 So, here are our top health tips to get you through the festivities feeling balanced, healthy and satiated – without the overindulgence! 1. Remember to eat wholesome foods and continue to prioritise healthy eating habits. Once the holiday season hits, so do the sweets. Cakes, desserts, alcohol and an abundance of snacks seem to be everywhere this time of year. Just because it’s the ‘silly season’ it doesn’t mean your healthy dietary routines should now fly out the window. Continue with your regular routine, make a vegetable juice or smoothie to get a good dose of nutrients, steamed some vegetables to have as a healthy side dish, take a nutritious breakfast to start the day right. 2. Don’t deprive yourself. It’s important to give yourself permission to enjoy all the foods this festive season, in small amounts. Moderation is everything! When you deprive yourself with food – it can lead to overeating or feeling anxious around food, and just leads to a lack of enjoyment during the celebrations. So enjoy that dessert, have a drink – allow yourself a small amount, and enjoy it mindfully. 3. Don’t go out with an empty tank. Before setting out for a party, eat something, so you don’t arrive famished. We all know what is likely to happen when we rock up to a party absolutely starving - we grab hold of anything in sight, and usually healthy choices fly out the window! Ideally a protein rich snack with a combination of complex carbohydrates and good fasts to keep your blood sugar stable and feeling satisfied. Boiled eggs, hummus and some raw veggies, Unflavoured Greek yoghurt with nuts and seeds are great options. 5. Keep exercise on your schedule. With everything going on this time of year, it can be harder to fit in time to exercise, but this is when it can help us the most. Exercise can help us manage stress as it releases endorphins, plus regular movement will help keep those extra holiday kgs at bay! Make your morning yoga practice even more of a priority, go for a walk after dinner each evening and catch up with family members, or play a game of cricket with the kids. 6. Schedule downtime and stay regular with your meditation practice. Whether it's for a few hours or an entire day, actually put in your calendar some time to do not much at all! Relax any way you want - watch your favourite movie, take a relaxing bath, laze around and read a book or sleep! Take some time alone to decompress from the year. This will help keep you feeling balanced among all the busyness of the season. Ensure you prioritise your daily meditation practice – this is going to be your best ally this holiday season! 7. Visit with a qualified Nutritionist. Need help figuring out what’s the best diet for you? Or need assistance with sticking to your personal lifestyle goals? Book in to see our health practitioner for a consultation. You can chat in person in Melbourne, or via Skype. Enjoy the festivities of this fun time of year - eat, drink and be merry! Ensure a little moderation to make sure you take good care of yourself and others throughout this busy time. We hope you have a wonderful holiday full of health and happiness!